Asian influences, including a unique coupe shape, set this collection apart. 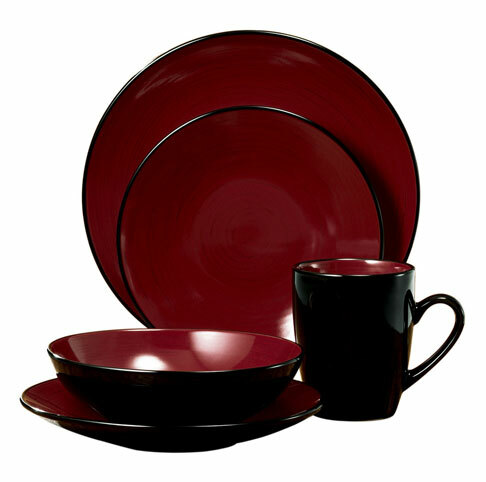 High-gloss black exteriors accent artful, hand-painted swirl designs in vibrant burgundy. 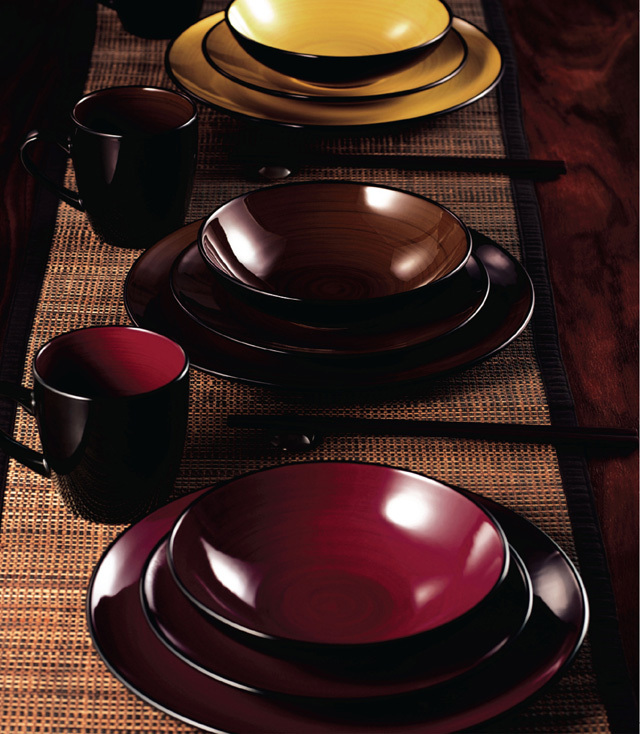 Domo dinnerware is ideal for everything from sushi to pasta. Also available in yellow and brown.